Viburnum Tinus is a dense evergreen hedging plant which provides interest in the garden over the gloomy winter months, with its December flowering pink buds which produce white flowers and the black berries which follow. 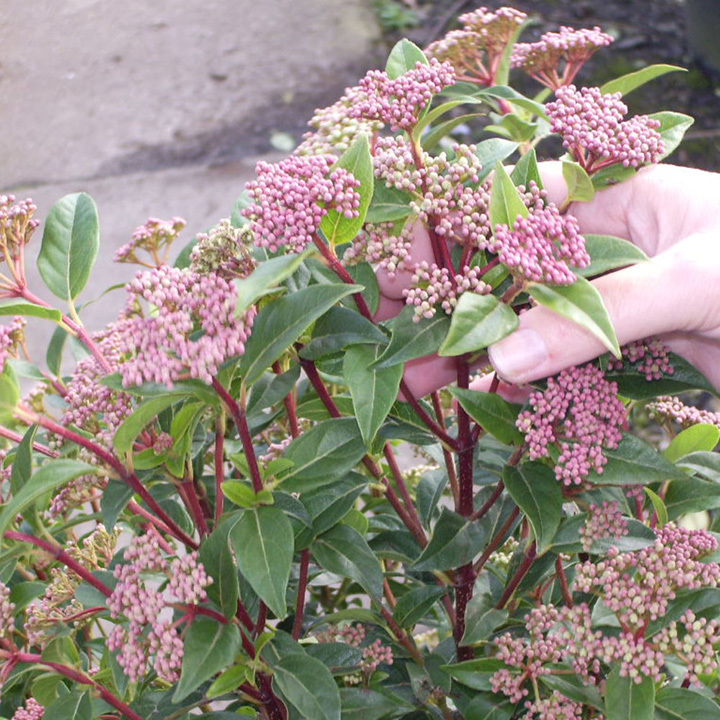 As such Viburnum is a very popular species with the birds when food sources are scare. Plants supplied 20cm+ high and grow 30-60cm per year.